Our team of specialists can help you restore your health. Are you suffering from a sports injury, chronic headaches or crippling back pain or just want to feel better so you can live a happier, healthier, more productive life? At East Hants Chiropractic Clinic, we offer personalized treatment for all types of conditions. 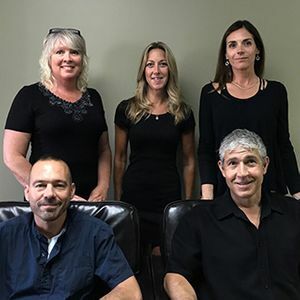 With the care of an experienced chiropractor, Dr. Michael McCoul, D.C. and the know-how of professional massage therapists and acupuncturists on site, you’ll be in good hands. Located on Main Street in Shubenacadie, our chiropractic clinic is open five days a week. Evening appointments are also available. Get the relief you need and deserve! To book your first appointment with Dr. Michael McCoul, call us now at 902-758-2240. We look forward to meeting you. East Hants Chiropractic helps relieve conditions such as sprains, strains and sports injuries, as well as arthritis, headaches and many other conditions. Chiropractic is safe, effective and can be used by patients of all ages. We also offer orthotics to improve your posture, balance, gait and range of motion. At East Hants Chiropractic Clinic we have two experienced Registered Massage Therapists: Wanda Farnell and Kim Murray. Both love what they do and have a passion for helping people. Massage therapy is the manual manipulation of the soft tissues of the body to achieve a therapeutic response. It enhances the function of muscles and joints, improves the circulation of blood and lymph and relieves pain and stress. Wanda has also been a BioFlex® laser technician since 2008. BioFlex® therapy can safely increase the rate of recovery and help reduce the need for pain medication. It also has the ability to promote rapid healing after surgery. East Hants Chiropractic Clinic also offers Pilates classes in small groups or private sessions with Rebecca Stone-McCoul, STOTT Certified Pilates Instructor since 2003. Build core strength, improve your flexibility and increase muscle tone with the help of a qualified Pilates instructor. Dr. Michael McCoul recommends this type of exercise as an excellent way of improving your posture and strengthening your core. Brett Pollock has been practicing Traditional Chinese Medicine (TCM) since 2009. TCM is an ancient Chinese form of health care involving acupuncture, ancient Chinese medicine, nutrition therapy, and other practices to help treat and prevent health problems. As a traditional Chinese acupuncturist, Brett is a lot like a family doctor. He can diagnose and treat many ailments and injuries using both acupuncture and other practices of TCM.